"Fun NEVER asks how old you are!" 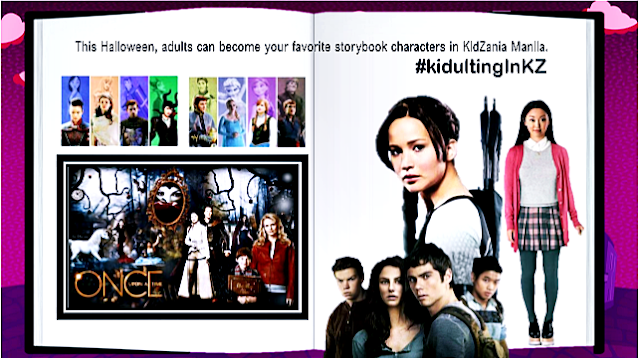 Attention Kidults! 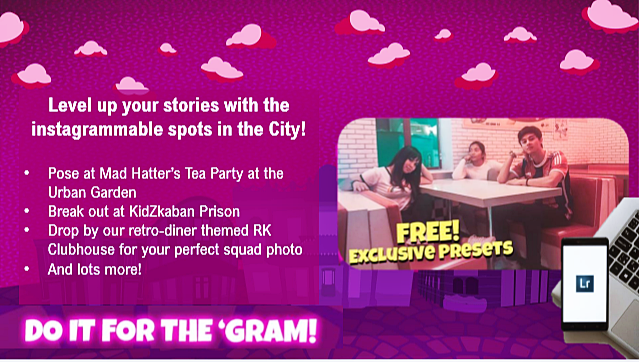 It's another opportunity for you Kids-at-heart to experience KidZania Manila on Friday, October 17, 2018. Yehey! For only Php880 per person, Php600 for students, Php700 for BGC residents ( All you have to do is show your employee ID or any proof of residence at the counter) You can experience how to be a kid once again from 6 pm to 11 pm. 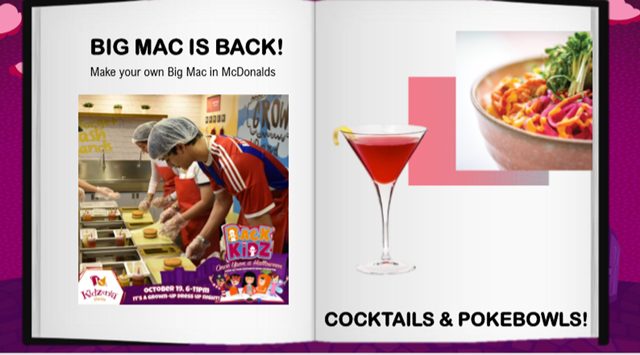 It is a one night only affair so please make sure to visit KidZania Manila. 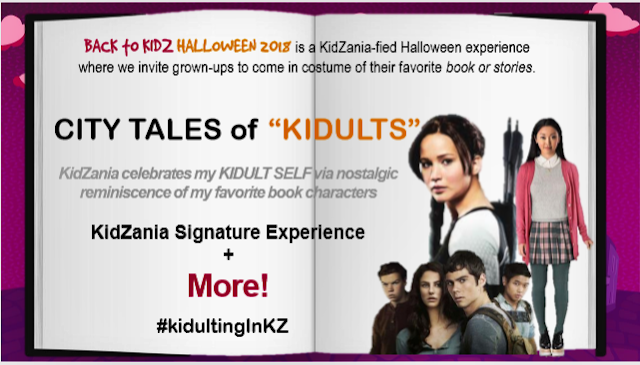 Halloween is upon the land, and KidZania Manila brings an adventure for grown-ups to enjoy. 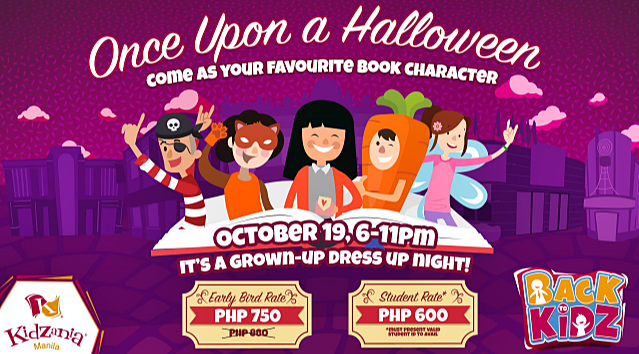 Reminisce and come in your favorite story book or comic book character costumes in "Back to KidZ: Once Upon A Halloween" event at KidZania Manila where Kidults-- guests ages 18 and above- may enjoy specially themed attractions on October 19 ( Friday). Play football at the Milo Stadium, Do treasure Hunt, Wall climbing and other fun experiences at Kidzania Manila. 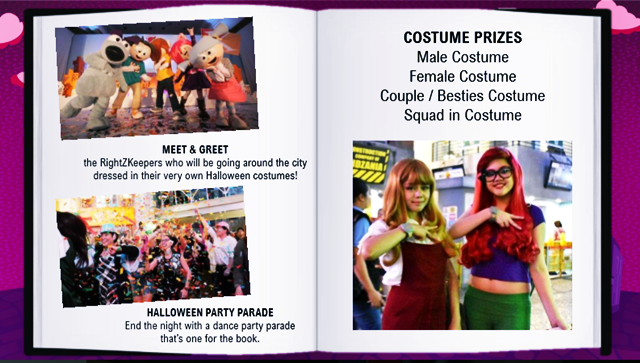 You can come dress up as one of your favorite storybook characters in Kidzania Manila and win cool prizes. I heard it is an overnight stay at Aruga hotel! Cool eh? 1. Drop by Pop's Diner with the Gang. Share a milkshake with bae and enjoy that retro diner feels with friends at the revamped RK Clubhouse. 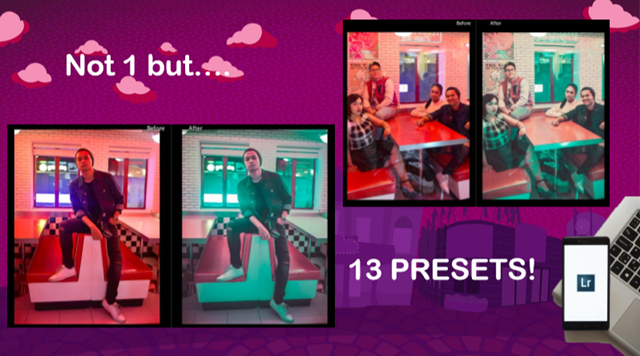 KidZania is also giving out an Adobe Lightroom Preset Pack for FREE, specially made for this Instagram-worthy spot. 2. 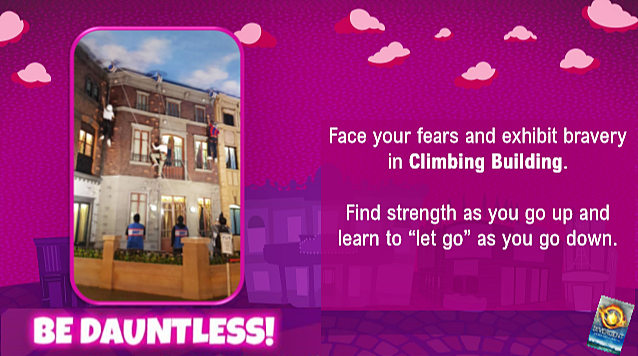 Rise up to be a dauntless in the climbing building. Get up and get ready to join your new faction. Prove yourself as a brave initiate as you find strength to go up the Climbing Building and "let go" as you go down. 3. 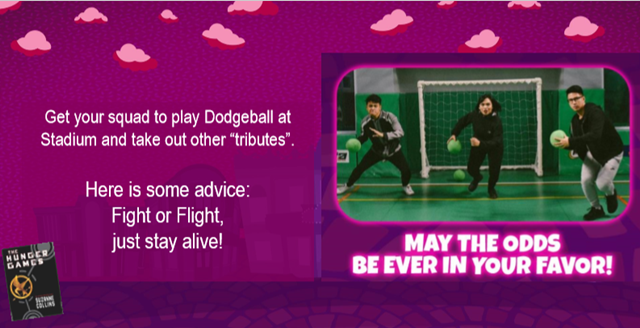 Beat other tributes. And that means you have to beat them via a dodgeball at the Milo Stadium, Fight or flight--it's your strategy for your life! No literal bloodshed in the stadium please. Lol. 4. Join the quest for treasure island. 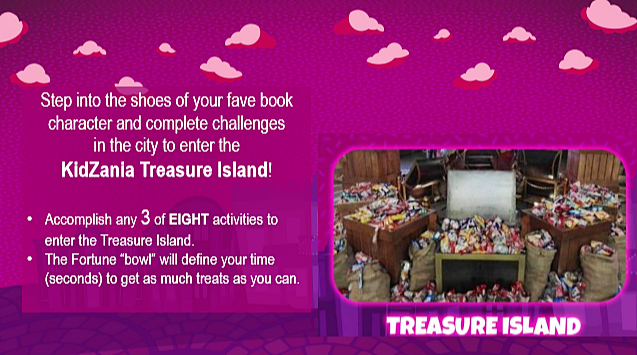 Take on challenges mapped around the city to enter Treasure Island and hunt for unlimited treats. 5. Break out of Kidzkaban Prison. Whether you've been naughty or just been wrongly accused - find a way out of there before the Dementor's Kiss is sentenced upon you. 6. Attend the Mad Hatter's Tea Party. Find your way to the whimsical Urban Garden and sit for a colorful time. No worries, no shrinking potions here! 7. Deliver Lara Jean's Letters. The letters are out - and you're the one to deliver them. 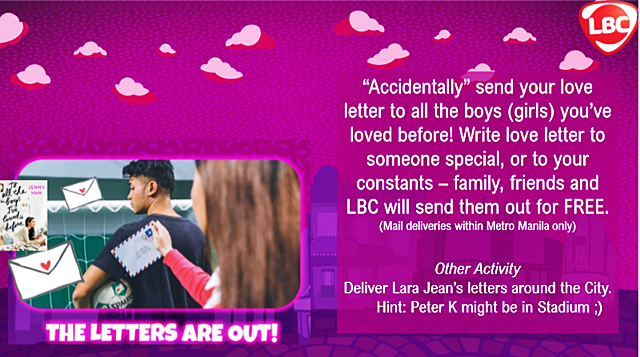 But if you are also a daring soul like LJ, you can write your own letters and have them delivered with the help of LBC. 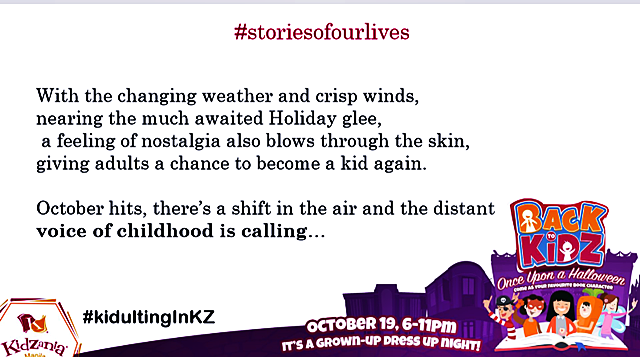 Send sweet nothings to your love ones, and Letters may also be published on KidZania's Facebook page, so if you're brave enough -- #TagMoNaSiCrush. P.S. If you're looking for Peter Kavinsky, he might be at the Stadium, being the jock he is. 8. Find your happily ever after. 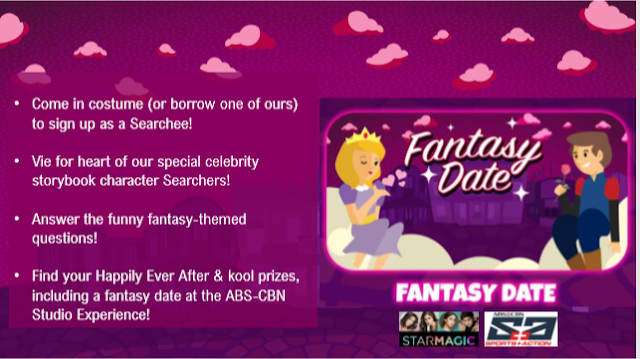 Participate in "Fantasy Date" at the ABS-CBN Theater, where you vie for the heart of special celebrity storybook character Searchers. 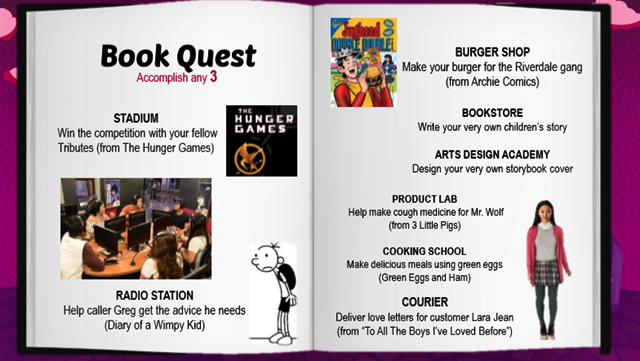 Find your happily ever after and kool prizes, including a fantasy date at the ABS-CBN Studio Experience. What? You want a discount? Don't worry! 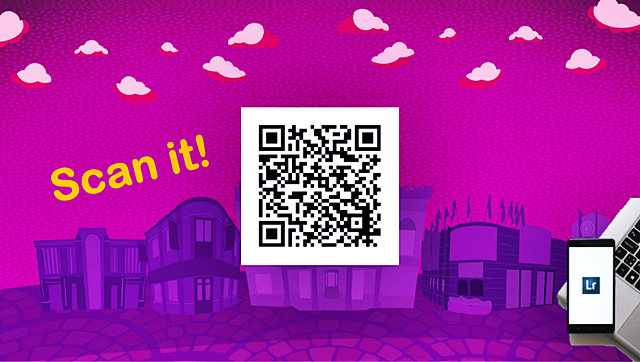 You and your friends could get a discount by securing your tickets one day ahead! You get to pay only Php750 as an early bird bonus ( that is so cool indeed). 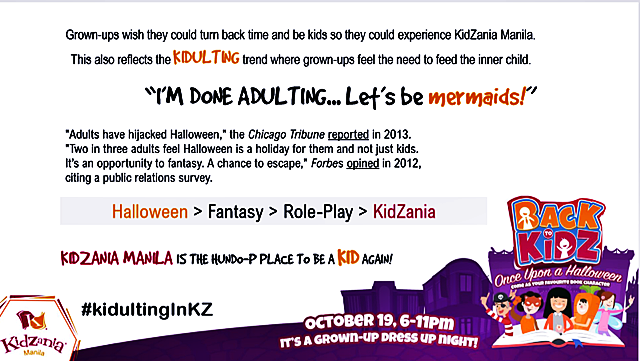 Tickets are available through http://bit.ly/KTXB2KHalloween or at the KidZania counters.